Because musical TV movie specials are so hot right now, Fox is jumping on the bandwagon. But with a non-live reboot of Rocky Horror Picture Show. 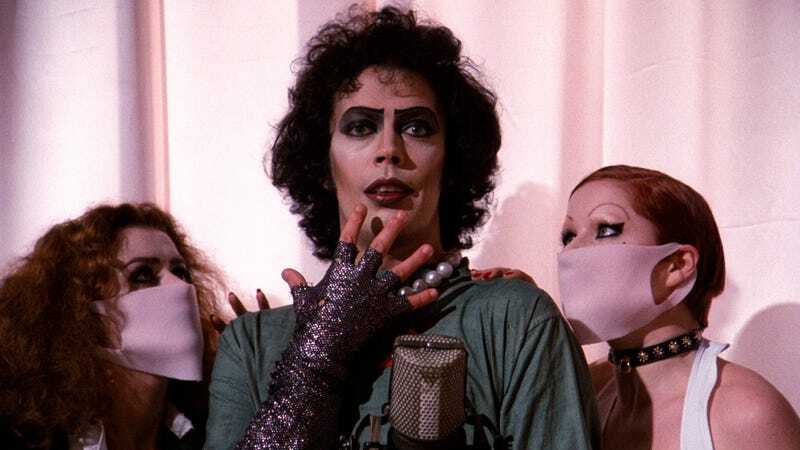 This is like the 8th time someone's tried to remake Rocky Horror — and it's still a terrible idea. Entertainment Weekly is reporting that this two-hour TV movie will be choreographed by Kenny Ortega, from Xanadu and High School Musical. The original film producers, Lou Adler and Gail Berman, are also on board in some capacity. Allegedly, Fox wants to use the original work of Jim Sharman and Richard O’Brien for their script. That is nice, but I'm still not sold. Let us never forget the Glee Rocky Horror with John Stamos. A version that had original movie cast members in it, but still couldn't find any sort of bite.